Mark Lynas was one of the original GM field wreckers. Back in the 1990s - working undercover with his colleagues in the environmental movement - he would descend on trial sites of genetically modified crops at night and hack them to pieces. Two decades later, most people around the world - from New York to China - still think that `GMO' foods are bad for their health or likely to damage the environment. But Mark has changed his mind. This book explains why. 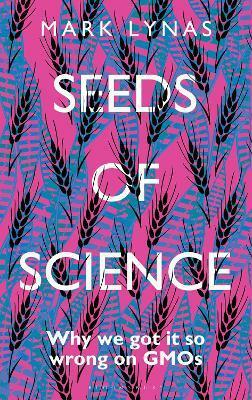 This book lifts the lid on the anti-GMO craze and shows how science was left by the wayside as a wave of public hysteria swept the world. Mark takes us back to the origins of the technology and introduces the scientific pioneers who invented it. He explains what led him to question his earlier assumptions about GM food, and talks to both sides of this fractious debate to see what still motivates worldwide opposition today. In the process he asks - and answers - the killer question: how did we all get it so wrong on GMOs? Mark Lynas is the author of three major popular science environmental books: High Tide (2004), Six Degrees (2008) and The God Species (2011), as well as the Kindle Single ebook Nuclear 2.0 (2012). Six Degrees won the Royal Society prize and was made into a National Geographic documentary. Lynas was advisor on climate change to the President of the Maldives from 2009 until the coup in 2012. He has contributed extensively to global media, writing for the Guardian, New York Times, Washington Post, Bangkok Post and numerous others. Until 2017 he is a visiting fellow at the Cornell Alliance for Science, Cornell University.